If you’ve been diagnosed with osteoarthritis, you’re joining 24 million other Americans who have this joint disease. While it’s far from good news to count yourself as a member of this group, a lot of headway has been made in treating the degenerative condition. 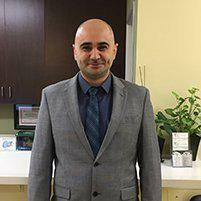 At Arthritis and Rheumatology Center, Tony Makhlouf, MD, FACR, stays on top of the latest treatment modalities that are taking the teeth out of osteoarthritis, allowing his patients in Simi Valley, California, to continue to lead happy, active lives. To learn more about these treatments, call or schedule an appointment online. In order to better understand this form of arthritis, it’s helpful to step back and take a look at the anatomy of a typical joint. Joints are where bones come together, and they’re held in place by connective tissue, such as ligaments, muscles, and tendons. In order to prevent these bones from rubbing together painfully, your body covers them with cartilage, a slippery substance designed to ease the movement in your joints and provide cushioning. Over time, your cartilage begins to wear down, which leaves your bones exposed to one another. As a result, the friction between your bones causes inflammation in the area. As osteoarthritis worsens, your bones and cartilage may even splinter or chip off, creating painful spurs. During the end stage of osteoarthritis in your joint, all of the cartilage is gone, which can cause a good deal of pain and loss of mobility. Osteoarthritis is often referred to as a wear-and-tear disease, which is the primary driver behind this form of arthritis. When it comes to your osteoarthritis, Dr. Makhlouf’s main objective is to alleviate the pain and stiffness in your joints. There’s no cure for osteoarthritis, but there are ways to minimize its impact on your life. One of the most effective treatments is infusion therapy. Dr. Makhlouf delivers bisphosphonates into your system intravenously to alleviate pain and prevent your joint spaces from narrowing further. Rest assured that Dr. Makhlouf works tirelessly to find a solution that’s right for you. If you want to regain pain-free movement, call Arthritis and Rheumatology Center, or use the online scheduler to book an appointment.